Emotions ran high at the headquarters of Guaranty Trust Bank, GTB, Lagos as Oritoke Aluko-Olokun, the mother of a 38-year-old man, Oluseun, born with autism spectrum disorder, a lifelong developmental disability that affects the way a person communicates and relates with people around him, narrated her heart –rendering story. Oritoke spoke at an event to announce the 7th edition of the Annual Autism Conference held under the theme: ‘Childhood to Adulthood: Communication and Social Development’. It was a morning of testimonies but the account of Oritoke was the most gripping. The Retired Chief Radiographer and others trained under the Initiative found their voices and recounted their stories on the life – changing condition which medical experts say, with structured support, victims can live a good life into adulthood. One after the other, the mothers took turns to narrate their stories. Tears flowed freely as Oritoke recollected how she was abandoned by her husband and forced into carrying the burden of her child’s condition alone. According to her, all was well with her marriage until she had what she described as her “beautiful boy”, Oluwaseun. “My son, Oluwaseun, walked at 11 months. He started talking and interacting with the father who was very happy with him initially. Anytime the father was coming in and knocked the door, the boy will ask, ‘who are you?’ He started saying A for apple and B for ball until when he was one and a half years”, the retired radiographer narrated. However, the mother’s travails began when the little boy was hit by measles. 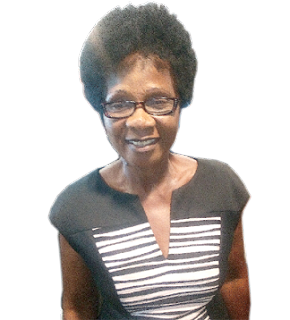 “I worked in the hospital because I happened to be a radiographer with a hospital in Lagos. I took him to the hospital for treatment and he was okay. “Shortly thereafter, Oluwaseun had chicken pox. That was when real trouble started. Later, we noticed that he became hyperactive and he wasn’t hearing. Then the hearing was restored but his hyperactivity continued. We want back to hospital; unfortunately, nobody could diagnose the problem at that time. He was born in 1979″. Oritoke’s husband became agitated, asking questions and making false allegations against her. The husband threatened that she must make the child talk within three months otherwise she would pack out of his house. “Am I God? How do I make him talk?” The mother became more worried. At this point, her husband allegedly turned her to a punching bag. She was called names for a problem she did not cause. “It was really hard for me; eventually, our marriage was dissolved. I was called a witch. My husband said I was responsible for what was happening to the child. The divorce came and I had to be looking after this boy single-handedly. Nobody helped. Before I left, he took the other children. I did not see them for about three months until I eventually located them. Oritoke became confused and frustrated. “One of my brothers, who wanted to take us abroad, could not because he wanted my husband to sign but he refused, “she stated. “I took my son to normal school but they could not cope because the teachers did not know what autism was. I was introduced to a group of therapists who were coming home to look after him. I will leave the therapists in the house with the son because I had to go to work. But my neighbours reported that they were beating him with belt, and then when I returned home, my son will vent his anger on me but I could not understand him then. So I have to stop them. However, the mother took a step of faith, “I went there and I met the owner of the centre. I told her my story and she said she could start the summer coaching with my son. I was crying because I could not believe it. By the time my son finished the summer coaching I went to thank her. She said the boy should start normal school with them. I was marvelled. I said to myself, ‘what have I done to deserve this?’ I thank God and the Director of the centre, Mrs. Akande, who has helped my child. “My son has been on scholarship since 2014. I am retired but I have three shares of pension with the federal, Oyo and Lagos State governments. But it is only Lagos State that has been paying me pension. Meanwhile, experts at the event called for structured support that could help people living with autism through adulthood. Chief Consultant, Neuro – Psychiatric Hospital, Aro, Abeokuta, Dr. Agboola Paul, who explained that the cause of the condition was largely unknown, said, for now, it is completely genetic. According to Paul, the measles and chicken pox in Oluwaseun’s case were triggers since the baby’s brain at that age was still developing. He called for high index of suspicion on the part of mothers as part of strategies to diagnosing the problem. “Diagnosis could be devastating for parents. We do not need to bring children into this world and stigmatise them. Don’t treat them differently. Awareness is important and the need for communication and support for them would be able to carry those affected to adult life”, he added. On his part, the Managing Director and Chief Executive Officer of GTB, Mr. Segun Agbaje, who , commented on the 7th Annual Autism Awareness Conference said, “Over the past six editions of the conference, they have made tremendous achievements in amplifying the national awareness of Autism Spectrum Disorders and increasing the expert assistance available to people living with autism. Agbaje stressed that the first two days of the conference, held 13th and 14th of July 2017 at the Muson Centre, Onikan, were designed to create conversations and develop resources which address the dynamic needs of people living with autism from their childhood through adulthood. “As part of the 2017 programme, globally renowned specialists will also offer consulting services ranging from the assessment of children for Autism and other developmental challenges to the counselling of their parents from 17th to 22nd July 2017 at Digital Village, Alausa, Ikeja. “There will also be sessions for Speech Therapy, Physical Therapy, Behaviour Analysis, Audiology, Clinical Psychology, Developmental Psychiatry, Physiotherapy, and Occupational Therapy. “Since 2009 the Autism Awareness Conference has been a core part of GTBank’s Orange Ribbon Initiative, an advocacy programme designed to support people with developmental disabilities and special needs, especially Autism Spectrum Disorders, ASD”. 0 Response to "I was called a witch and my husband quickly divorced me – Oritoke Aluko – Olokun"